Are you thinking about downsizing, but not sure where to start? Have you heard horror stories from friends that fill you with dread? Are you nervous about making mistakes with your household goods? Here are some ways to make the process much easier. 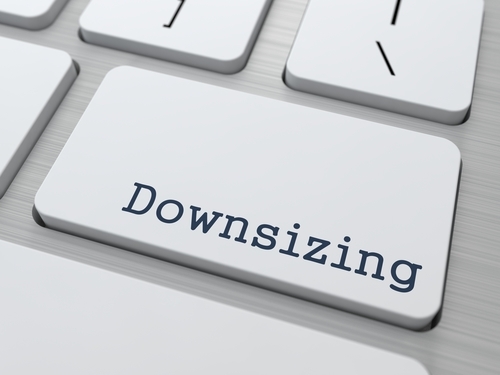 Avoiding these downsizing mistakes will make you wish you had done this years ago! The biggest mistake people make when downsizing is waiting too long. Typically, people wait until a spouse dies or someone becomes ill. Then they’re trying to move and make major decisions while fighting poor health or in the midst of grieving. Those are not the perfect circumstances. Create a plan while it’s still a lifestyle change. Trade in yardwork and cleaning for golf, tennis, or hiking. Save money on home repairs and travel. Take at least six months to prepare. Go through belongings, look for a new home, and talk with family. It’s much better to move now while everything is going well. What are you waiting for? Moving to a smaller home means getting rid of lots of things. But trying to downsize the entire house is overwhelming and exhausting. Go through one room or one closet at a time. This is when to take your time. If you are moving to where the outdoors is taken care of by a grounds crew, then rid yourself of yard “stuff” – rakes, shovels, lawn mowers, etc. As for kitchen items, look through all the pots and pans, utensils, and other equipment. Now’s the perfect time to let go of everything you don’t use on a regular basis. Make sure what you have left will fit in your new space. Don’t try to do everything yourself! Your children, friends, and family members can help you by taking artwork, furniture, or boxes of mementos. Invite people over and point out items they are welcome to have. However, give a time limit. If they want a piece of furniture, it must be gone by a certain date. If they can’t move it by then, sell it or give it to charity. Are you going from a four-bedroom home to a two-bedroom condo? Be realistic about the size of your new location. Measure each room and then measure the furniture you’d like to take. Will it really fit? Think also about the age of your furniture. If your sofa is 20 years old, it may be less expensive to buy a new one. As for artwork, measure the walls. It is likely you will have less space to hang everything, too. It’s not easy to leave a home filled with memories. Before you leave, take lots of photos. Ask neighbors to pose with you; take clippings of your prize roses to repot; take a walk around the neighborhood. You’ll soon realize it’s the memories that are important, everything else is just ‘stuff’. Feeling overwhelmed and want to toss everything in the dumpster? Before you do, realize there are a few options. Hosting a rummage sale may feel like a hassle, but you can make some money. Mention to friends and neighbors to stop by and take a few items. Many nonprofits have trucks to pick up donations, with proceeds going to help the community. Finally, consider contacting a trusted estate buyer. Whether it’s just a few items or the entire contents of your home, many will provide a free evaluation with a qualified consultant.